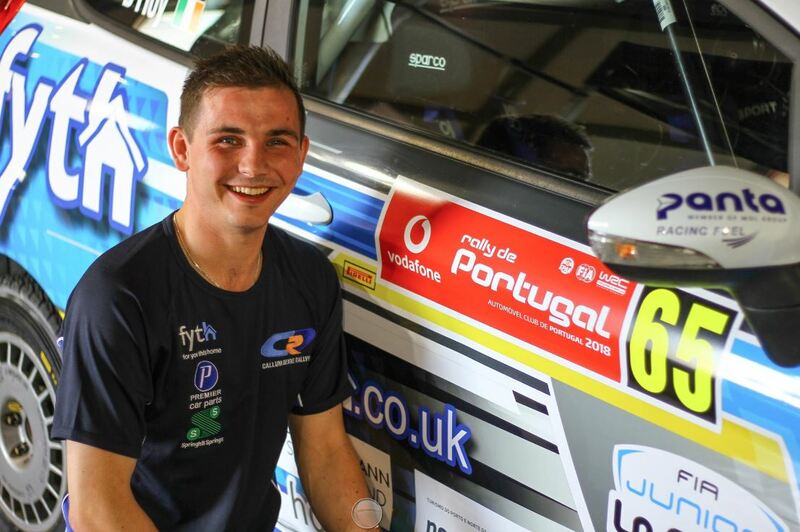 Motorsport Ireland Young Rally Driver of the Year, Callum Devine, starts the 3rd round of his Junior World Rally Championship (JWRC) campaign this weekend at Rally Portugal. Devine currently lies 5th in the championship race after the opening 2 rounds in Sweden and Corsica and is hopeful of building on those performances on the Iberian Peninsula over the coming weekend. Rally Portugal begins with a short super special stage this evening (Thursday) at the Lousada Rallycross track before the rally proper gets underway on Friday morning. Friday consists of 8 tests with the final 2 stages of the day being short blasts around the streets of Porto for a brace of spectator stages. Saturday is the longest leg of the rally with 6 tests totalling 154km of competitive driving while 5 stages await on Sunday, including the iconic Fafe stage which will draw in over 50,000 spectators alone. The 2018 JWRC is run in association with M-Sport and each competing crew uses identical Ford Fiesta R2T cars. Points are awarded for overall places as well as for each individual stage win. The remaining pair of JWRC rounds will be Finland and Turkey, both gravel events, with Turkey being of particular interest as double points will be on offer. The prize at the end of the season will be an R5 Ford Fiesta along with support to tackle WRC2 rounds in 2019. Callum’s JWRC season is supported by Motorsport Ireland, Sport Ireland, the Team Ireland Foundation, Fyth and Premier Car Parts.